Since the turn of the century, the financial world has been going through its own “Industrial Revolution” through technology and globalization advancements. The next phase of this revolution which is on the brink of reality is enabled by blockchain technology. Today the world is filled with various different types of tokens each representing a different concept of value whether it’s a virtual or physical asset. Nearly any asset in the world can be digitized (tokenized) including bonds, automobiles, fiat currency, and financial instruments. Some of these assets are contained on blockchains others are in other types of management systems. The ability to create and exchange digital representations of any asset in the world has ushered in a new age of enormous potential often referred to as, “The Internet of Value”. Despite the ability to represent assets digitally there is a challenge facing the progress of the digital asset revolution. The issue is interoperability. The liquid exchange of these assets and accurate extraction of these assets’ values, is stymied. Currently, coins, tokens, and tokenized assets issued on separate systems cannot be easily transferred or exchanged without incurring fees and/or requiring multiple steps. This must be solved to fully realize the potential of blockchain technology, The Internet of Value, and ultimately a global tokenized economy. Blockchain technology creates the ability to support an unlimited variety of assets, plus the ability to extract value from these assets on a platform with global reach and increased accessibility. Today, the most common approach to exchange or move values between chains is through a centralized exchange. While centralized exchanges work, there are well-known security vulnerabilities that open risks of assets being stolen. Two notable centralized crypto exchange hacks in 2018 resulted in substantial losses: $500 million Coincheck hack in Japan and $40 million Coinrail hack in South Korea. In fact, more than $700 million in assets stolen in the first half of 2018, and those are just the reported numbers. To solve the security issues facing centralized exchange systems, forward-thinking companies like Wanchain, IBM, and Polkadot have started testing and executing cross-asset transactions. These approaches rely on combinations of multi-signature transactions, relay chains, atomic swaps, and 3rd-party escrow accounts. While offering improvements on the security front, there are limitations on the number of counter-parties and flexibility of swapping. This 3-part series will explain Fusion’s cross-asset protocol, starting with the rationale for the DCRM technology module and how it works. Given the variety of blockchains and the high velocity of change in technology, the success of an integration solution depends heavily on where the integration takes place. Blockchain technology operates on a layered protocol, much like the Internet itself. Starting from the bottom of the protocol stack, the layers are: the data layer, network layer, consensus layer, and finally, the business application layer. As technology moves higher in the layers, low-level code is abstracted away, resulting in easier extension and adoption, but at the cost of increasing variety of integration methods and slower performance. High uniformity of integration: Unlike the top layers, the data layer has much less variety to consider. For example, by integrating against just 1 private key encryption algorithm (ECDSA), we can integrate against 80% of tokens. High impact: All digital assets and their transfers are controlled by access to their respective private keys and ability to sign transactions with these private keys. Fusion realized this approach through the DCRM module, which leverages Fusion’s blockchain nodes to generate and secure heterogenous-chain private keys and their respective wallets. 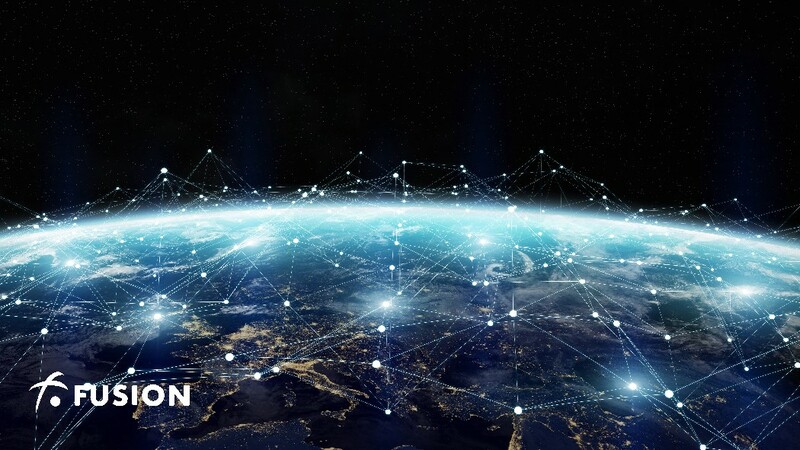 The ability to control these wallets in turn, allow for seamless swaps of siloed digital asset ecosystems across Fusion’s connective digital freeway. However, this power comes with an immense responsibility to protect access to these key, which Fusion provides through its innovative key sharding technology. In typical blockchain key generation, a full private key is generated and stored inside a user’s wallet along with a public key. The public key can then be shared with others to receive funds, while the private key, and control of the user’s wallets and assets remain hidden. 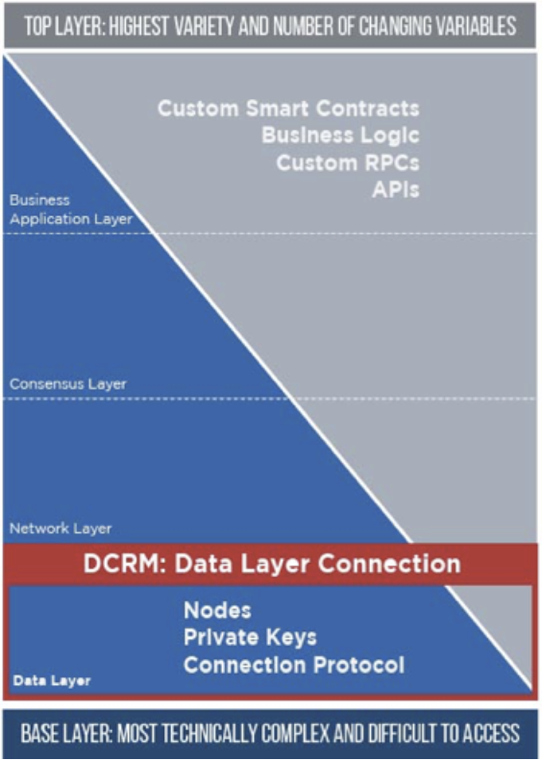 Because Fusion’s DCRM technology relies on the nodes to generate wallets supporting mixed assets for the user, it is paramount that no single node or individual ever has access to the private key. As mentioned before control of a private key equates to control of the asset. Fusion provides this protection through key sharding and a proprietary distributed encryption algorithm which is compatible with standard encryption algorithms (such as ECDSA). Key sharding is the process of dividing a complete key into several fragments or shards. Through Fusion’s distributed encryption process, the sharded private key is never reconstructed in the whole process from point of generation, to signing calls, to storage. Step 1: Each node participating in the generation of the private key generates its own shard of the key. The node never has more than one shard of the key and can not access the remaining private shards of the key in the other nodes. Step 2: The node generates the public key through DCRM encryption and checks to make sure that the proper public key are being submitted by the other nodes in the system. This check is analogous to the validation of a credit card number through public algorithms. Step 3: If the check passes, then both the private key and the public key is generated for the wallet. The private key is protected by Fusion’s blockchain algorithm, and the public key is presented to the owner of the wallet. In part two of this series, we will discuss how Fusion uses Fusion-generated wallets along with the protected private keys to allow for the seamless connection of siloed assets for the user and the resulting broader financial impact.